A new generation of computer whizzes doesn’t want a job with Renaissance or Two Sigma — it wants to make them obsolete. Richard Craib  a 30-year-old mathematician who runs a hedge fund powered by artificial intelligence  is Jack Bogle-meets-Edward Snowden. Craib wants to democratize hedge funds, and ultimately the asset management industry entirely, in a way that would be recognizable to both men. Like Bogle, founder of Vanguard Group and a lifelong missionary for low-cost index funds, Craib rails against the cut Wall Street takes out of investors returns. He thinks AI will lower the cost of fund management, producing savings that can be passed on to institutional and retail investors. Like Snowden, Craib wants to shake the establishment to its core. The very deeply strange thing about the asset management industry is that no one is winning, says Craib, a South African who favors black hoodies and started his technology company, Numerai, in 2015. Thats why I think there is an appetite for different ideas, including more reasonably paid employees. The cost of our capital structure is much lower, so we can charge much lower fees, he adds. Numerais seed money came from First Round Capital, which also seeded Uber, with later funding coming from Union Square Ventures, Paul Tudor Jones, and others. Quantitative investment firms  or quants, short for both the companies and the geeks working at them  use people to build systematic strategies. Numerai intends to teach machines how to do that. 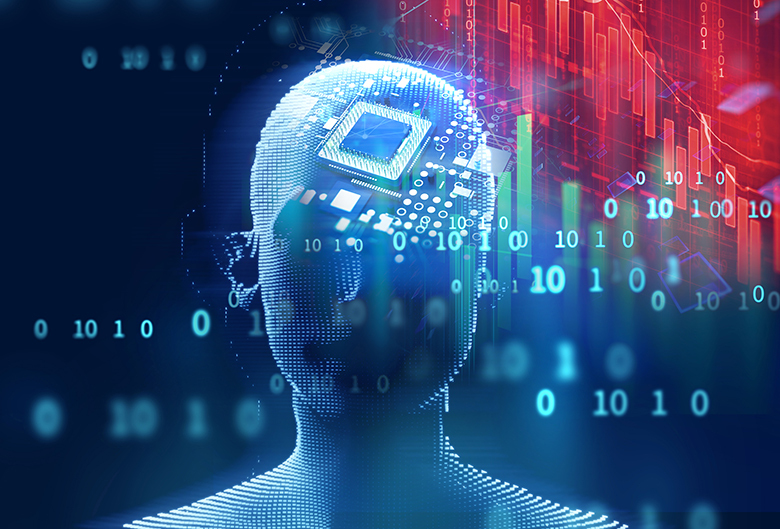 Industries from health care and finance to education are grappling with AI, and the machine learning and other advanced computing techniques behind it. The promise of autonomous cars, which is shaking up every sector related to the automobile, relies on AI. In March 2016, Googles DeepMind AI project surpassed the best human mind at a game of Go, the ancient Chinese board game in which possible moves outnumber atoms in the universe. AlphaGo learned to recognize patterns as it went, and beat Lee Sedol, the games world champion. AlphaGos 37th move was one that no Go player had ever seen before. The program learned the game through human-like reinforcement learning, showed creativity in its moves, and demonstrated for the first time the power of deep learning and neural networks to create new insights  and threats  for businesses and all aspects of human life. Almost every asset manager is racing to hire people with AI experience, and demand is especially acute from quants that already have armies of Ph.D.s. Despite hiring high-tech talent, these incumbents like their hugely profitable industry just as it is. As hedge funds teach computers to buy winning investments  and some have already  they tend to package high-priced funds for investors in the same way hedge funds always have. Craib and a growing number of entrepreneurs schooled in AI see a model ripe for disruption. After all, they have no legacy businesses to protect. Experts anticipate that these entrepreneurs, armed with computers taught to do the work of expensive and moody humans, will first make inroads with a lower-cost product covering the most efficient parts of the market. Large-cap equities managers, watch out. Investors always ask Renee Yao how she can compete with entrenched quant giants like Two Sigma and WorldQuant. 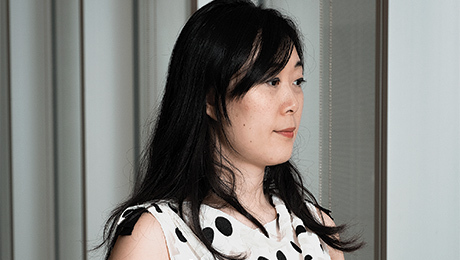 In 2015, Yao founded Neo Ivy Capital, a statistical arbitrage hedge fund that uses neural networks and deep learning, after running a portfolio for one of those giants. One of Neo Ivys original backers was Millennium, the firm WorldQuant spun out of. 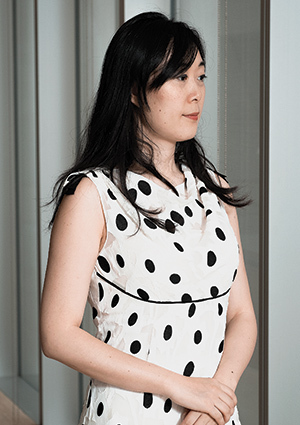 We have a completely different business model, explains Yao, whom Citadel hired out of Columbia University before she could complete her math and statistics Ph.D. Firms like WorldQuant hire researchers all over the world, then use them to generate alphas. But were researching neural network algorithms so those algos will train the computer and the machine will find the alphas for us. People need to rest and cant work 24 hours a day, seven days a week. A computer can. Computers can work, generating ideas for us, nonstop. This efficiency and lower cost infrastructure only matter to investors if firms like Neo Ivy offer their products at a lower cost. Although she declines to detail planned fees, she says they will be significantly lower than the 2-and-20 structure that leading traditional hedge funds still charge. Consultants arent counting out the entrenched quants yet. Hedge funds and other active managers are grappling with the concept of democratization, says Ben Sheridan, partner at the Boston Consulting Groups San Francisco office. Theyre exploring ideas on how to deliver alpha at a lower cost, with fewer heads, in a machine-driven way. But the changes existing managers are willing to make are incremental, not sweeping. Sheridan expects the age of AI to deeply change investing, but just how  and benefiting whom  remains an open question. This is an excerpt. To read the entire piece, click here.